The Resident Photos from "Comrades in Arms"
Conrad will take the necessary risk to save an undocumented patient who can't afford the health procedures. 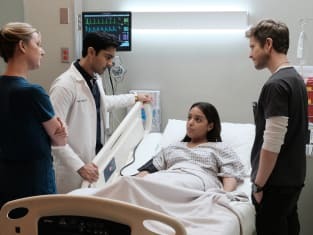 On The Resident Season 1 Episode 3, Conrad will enlist the help of Devon, Mina, Nic, and Irving to do it. WIll the hospital's administration catch them? An old friend of Conrad's comes into town and he may get in the way of Nic and Conrad. The tension between Nic and Dr. Hunter may intensify. Check out the photos for "Comrades in Arms" below! 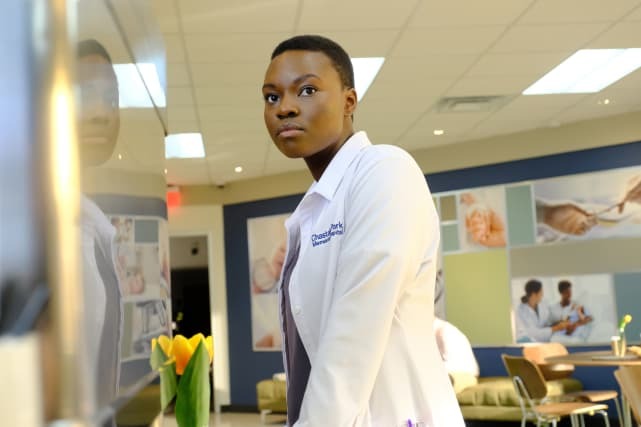 There's still time to catch up on this new medical drama! 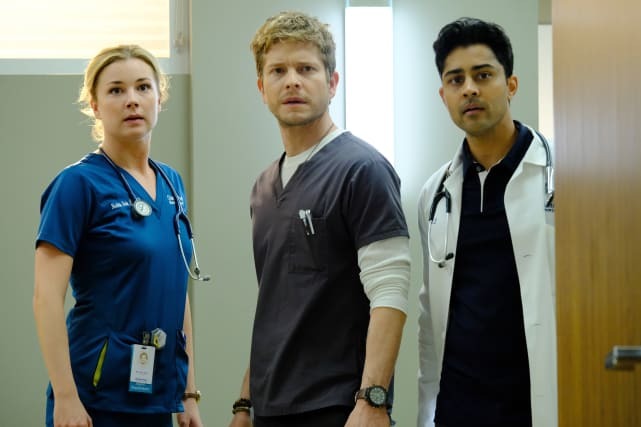 You can watch The Resident online here via TV Fanatic! Nic, Conrad, and Devon are the people you want on your case when all hope is lost and all hell has broken loose. You can count on all of them to do everything in their power to make sure that the patient has the best care there is, and they're not above breaking a few rules to do just that. 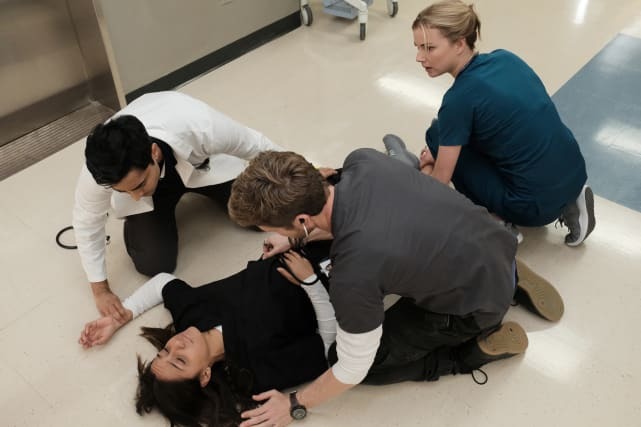 The team must save the life of an uninsured and undocumented patient on The Resident. "Comrades in Arms" is the third episode of the show's first season. Mina may be Bell's new mentee, but what does that entail when her new mentor is a manipulative, conniving man with ulterior motives? At least she's getting the most out of the situation for now. She's already good, but with the knowledge she can learn from being around Bell, she can be great. 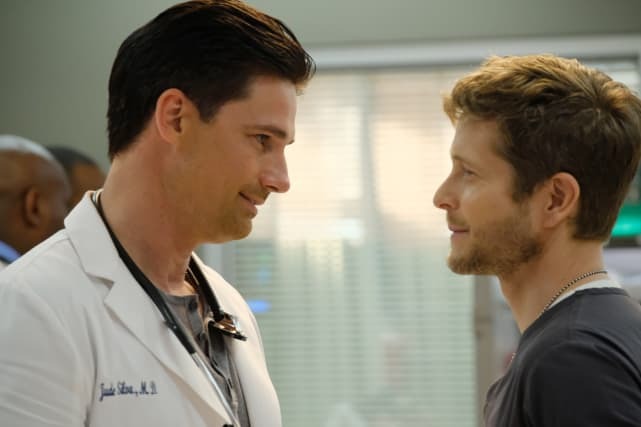 Everything is right in the world when Warren Christie is onscreen and now he's with Matt Czuchry too? Sign us up! He's set up to play an old comrade of Conrad's but is their relationship a love fest? Or is there a competitive rivalry between the two? A patient passes out in the halls of Chastain Park, but never fear, she's in the trusty hands of Conrad, Devon, and NIc. There can't be a better group of people there to help her during her time of need than these three! Devon tests whether or not a patient's foot is functioning properly. He looks to Nic for confirmation of his diagnosis, while Conrad looks on. He has two of the best mentors in the business, within reason, of course. 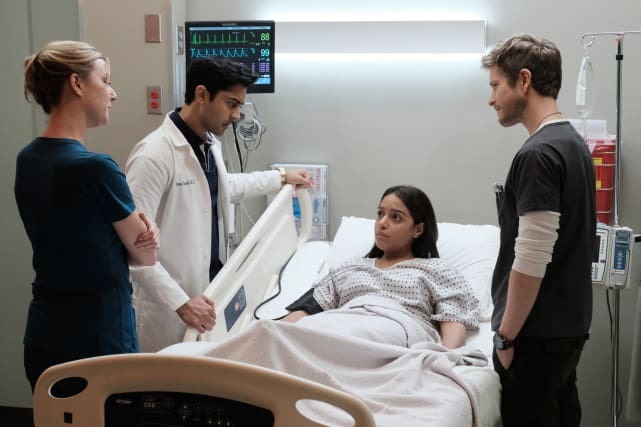 The Resident Season 1 Episode 3: "Comrades in Arms"
The Resident Photo Preview: The Dream Team! Think, CUTE, Code Up To Excellence! Permalink: Think, CUTE, Code Up To Excellence! Doctors at Chastain Park have to charge more for procedures! Permalink: Doctors at Chastain Park have to charge more for procedures!